A good brown is hard to find. Brown polish seems to be one of those shades that polarizes people … some love it while others can’t stand it. I’m finally coming around to “loving it” side and I’ve been on the hunt for a great brown polish ever since. Some are too dark, others are too light, but I couldn’t find one that was the perfect dark chocolate brown shade that doesn’t look black. Well, until now! 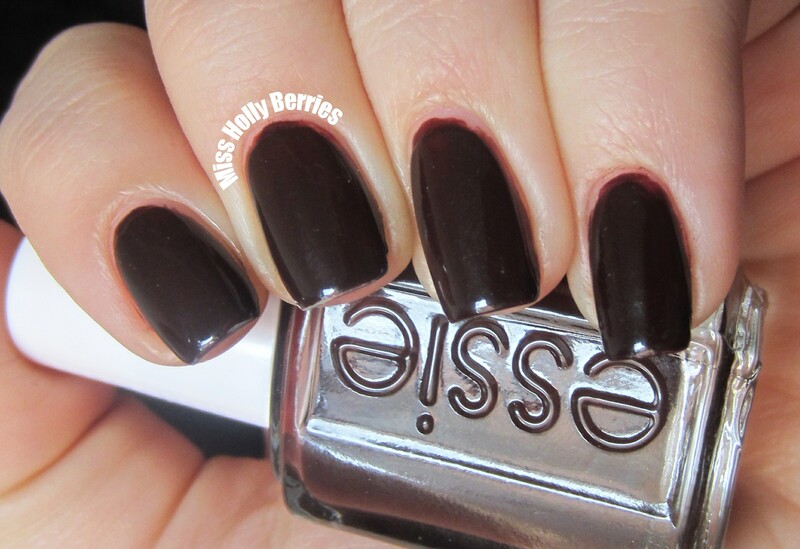 Essie “Lady Godiva” is a dark chocolate brown creme. Even though my photographs don’t show it, this is such a glossy polish! You can almost see your reflection in the polish, even without a top coat. It reminds me of those shiny chocolate candy when it hits the right light. If you’ve been following me for a while you know that I have a bias against Essie, because I was always frustrated with the formula. 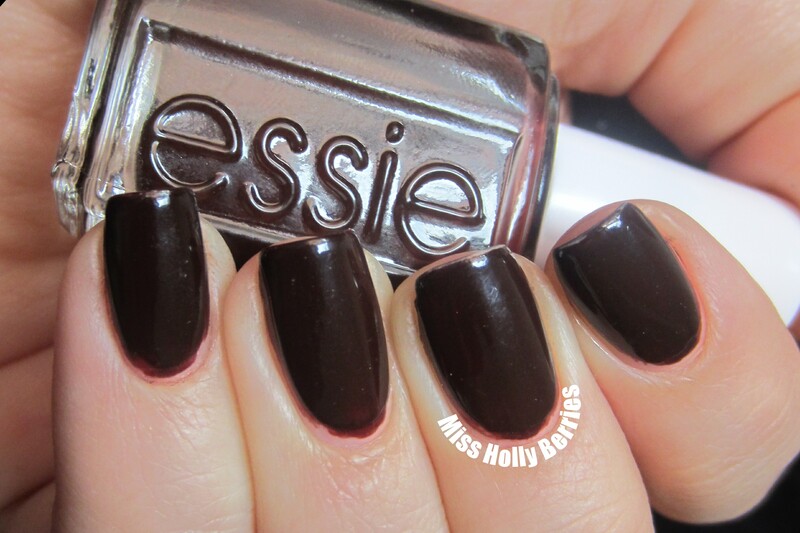 This polish totally proves me wrong and makes me want to try other Essie shades! This was perfectly opaque in 2 coats, had a great consistency and dried really quickly. Utter perfection and I’ve been loving it all November and into December. This is another polish from Beyond Polish. They carry all the big name brands like OPI, China Glaze, Essie, CND and more for an EXTREMELY reasonably price. They even have the entire Mariah Carey collection for cheaper than what you would find in store! What do you guys think? What is your signature red? Ooh, lovely colour and swatch. I have this colour (manufacturer shall remain nameless) that has been super for doing nail art details, but as a colour? Pardon my crass, by if I were the one naming it, I’d call it Electric Baby Poo. It’s kind of terrifying by itself! hahaha i love colors like that! is that weird that i love ugly colors?